Who is responsible for car accidents resulting from brake failure? Whenever an individual is injured in an automobile accident caused by faulty brakes, he or she may be entitled to receive compensation from entities aside from the other driver under the product liability law. However, it will be necessary to provide evidence that the brakes of the other automobile failed and this brake failure played a major role in the injuries suffered by the individual. The manufacturer may become the subject of a lawsuit due to an accident caused by a faulty brake under the product liability law. This situation is applicable whenever there were issues during the production of the automobile or when the design of an entire model range has the same flaws in its braking system. However, it may be necessary for a St. Louis personal injury lawyer of the injured party to prove that the flaw is potentially hazardous and it contributed to the injury of the individual in order to hold the automobile manufacturer responsible for the accident. It will also be essential to provide evidence that no considerable modifications were made since the vehicle became available in the market. The negligence of the other driver can also be proven using the failure of the brake as evidence in the case. The other driver may have driven the automobile even with the knowledge about the hazardous condition of its brake system. For instance, the driver can be held negligent if he or she did not take the necessary steps in dealing with the issue on the brake system of the automobile. The driver can be held responsible for the accident in this situation. The driver can also be sued for damages. There are also some cases when the mechanic, who had previously worked on the automobile, did not correctly fix the defect. In this situation, the mechanic may become the subject of the lawsuit. However, it will not be easy to legally prove the responsibility of the driver or mechanic in cases involving a defective brake system. This is based on the presumption that the mechanic will not be eager in providing documents showing his or her own lapse in judgement. The same thing applies to the driver of the automobile with the defective brake system. But, the driver may hold the mechanic, automobile dealer, or another third party responsible for the accident. Since cases involving defective braking systems are complicated, it may be necessary to consult an experienced St. Louis personal injury lawyer with extensive knowledge about product liability law. 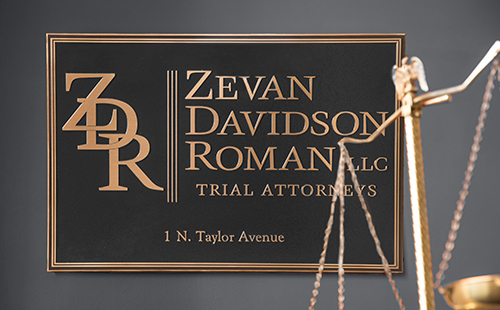 Contact Zevan and Davidson Law Firm at (314) 588-7200 for a free evaluation of your case.